A single insect is one insect too many. 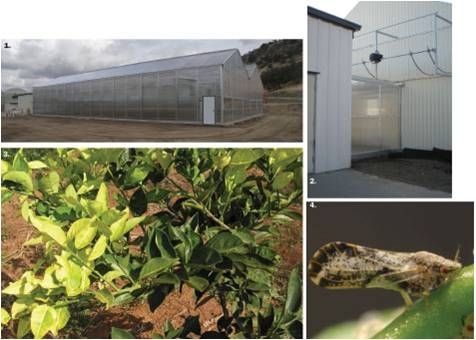 In fact, the future of California’s citrus industry may well rest on the exclusion of insect vectors from the Citrus Research Board (CRB) sponsored greenhouses at the University of California, Lindcove Research and Extension Center (LREC). LREC is the home of a ground-breaking program; one which is responsible for the introduction, therapy, pathogen testing and distribution of citrus germplasm to the citrus industry and researchers across the globe. The Citrus Clonal Protection Program (CCPP) is the result of a synergistic relationship between state and federal agencies, the university and the California citrus industry, as represented by CRB, at large. 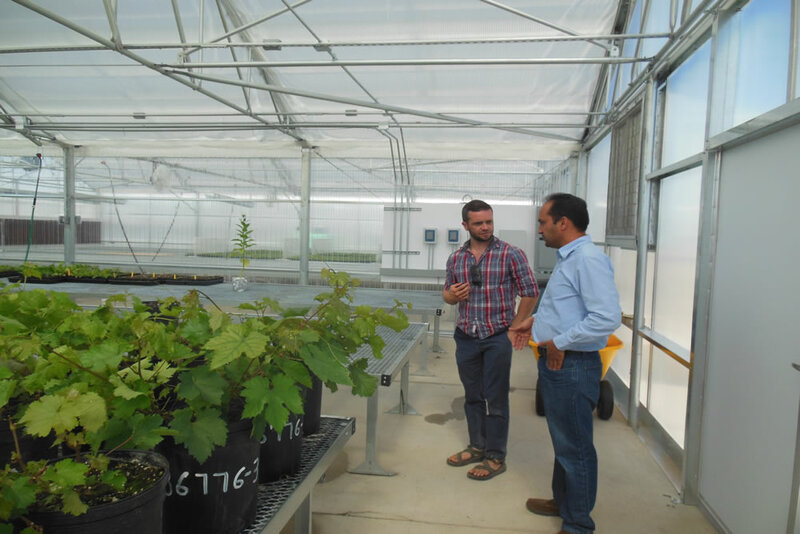 Since the 1960s when the first CCPP trees were planted at LREC, the CCPP has found it necessary to move its Foundation Block operations from open field plantings to protective screen structures and, finally, to positive pressure greenhouses. The goal is to keep harmful insects away from valuable germplasm. The citrus industry in California and elsewhere is increasingly threatened by pathogens such as Huanglongbing and its insect vector, the Asian citrus psyllid. Georgios Vidalakis, director of the CCPP, outlined the importance of the project. The CRB sought the optimum protection for these trees. CRB president Ted Batkin and project manager Chad Collin contacted Agra Tech Inc. to design, manufacture and construct the vitally important positive pressure greenhouses. Partnership of the CRB with Agra Tech resulted in construction of “Solar Light” positive pressure greenhouses. The greenhouses, which use positive pressure cooling to prevent insects’ entry, were designed to address the specific requirements of the CCPP. Primary among these requirements was the need to connect the LREC CRB-CCPP laboratory directly to the greenhouse, creating an entirely sealed and safe environment. Agra Tech engineers designed and incorporated entry vestibules which safely seal and connect the structural elements. One greenhouse was built primarily to house and grow citrus rootstocks for propagation and re-propagation of the budwood tree sources. The other greenhouse will be used for maintenance of a fully-duplicate collection of every variety of the CCPP Foundation Blocks. (1) The Citrus Clonal Protection Program at the University of California is using positive pressure greenhouses to protect citrus budwood from the Asian citrus psyllid; Photo courtesy of Agra Tech. (2) The lab and the greenhouse needed to be connected. The new greenhouses are equipped with entry vestibules which safely seal and connect the structural elements. (3) HLB symptoms include yellow shoots, leaf mottle, small upright leaves, lopsided fruit with a bitter flavor, and eventually death; Photo courtesy of Matthew Daugherty, U of CA Riverside. (4) The Asian citrus psyllid vectors Huanglongbing disease, which is fatal to citrus; Photo courtesy of CDFA. The Asian citrus psyllid (ACP), an aphid-like insect, is a serious pest of all citrus and closely related plants because it can transmit the disease Huanglongbing (HLB) when it feeds on the plants’ leaves and stems. HLB is the most devastating disease of citrus. Symptoms include yellow shoots, leaf mottle, small upright leaves and lopsided fruit with a bitter flavor. Infected trees decline in health, produce inedible fruit and eventually die. There is no cure, and infected trees must be removed and destroyed to prevent the spread of HLB. Mississippi and Alabama have detected the ACP but not the HLB disease. California, Florida, Georgia, Louisiana, South Carolina and Texas have detected both the pest and the disease. The psyllids have been detected in Hawaii, and both the pest and the disease have been detected in Mexico. 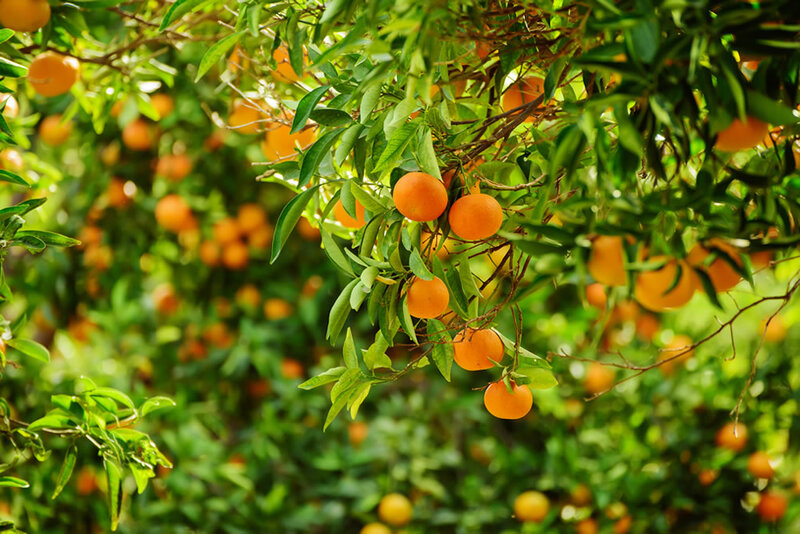 Florida reports the presence of HLB increases citrus production costs by up to 40 percent and has resulted in a loss of more than $7 billion and more than 6,000 jobs during the last five years. States are setting traps for ACP and monitoring for the pest and the disease. Quarantines help keep the pest and disease from spreading. It has worked out well for all of us and it’s a great relationship. 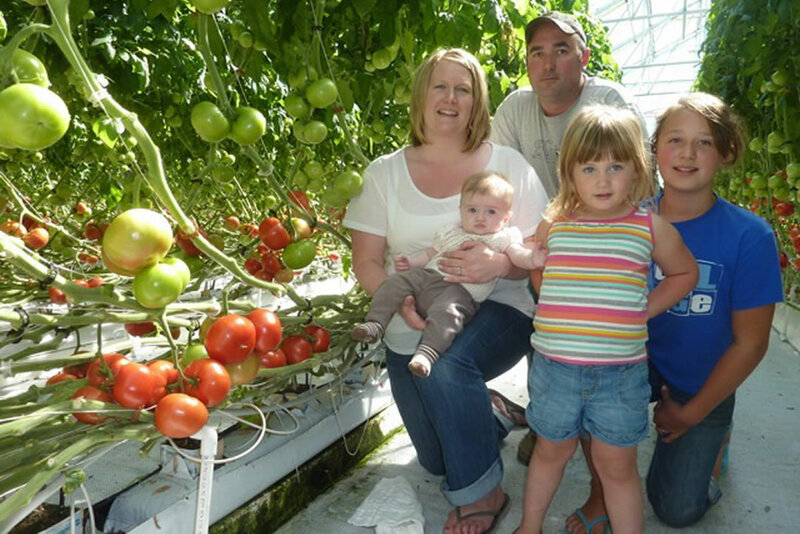 Of the 274 greenhouses we have, all but 19 of them are from Agra Tech. Jim Bergantz, our rep from Agra Tech sells them to us; John Pound advises us: Anita Pound helps to engineer the structures and Ray Pound’s company Ag-Con in San Jose, CA does all of the construction. The people at Agra Tech are easy to work with and every time we’ve gone to them with requests, design modifications and things like that—they’re always willing to make it happen for us.